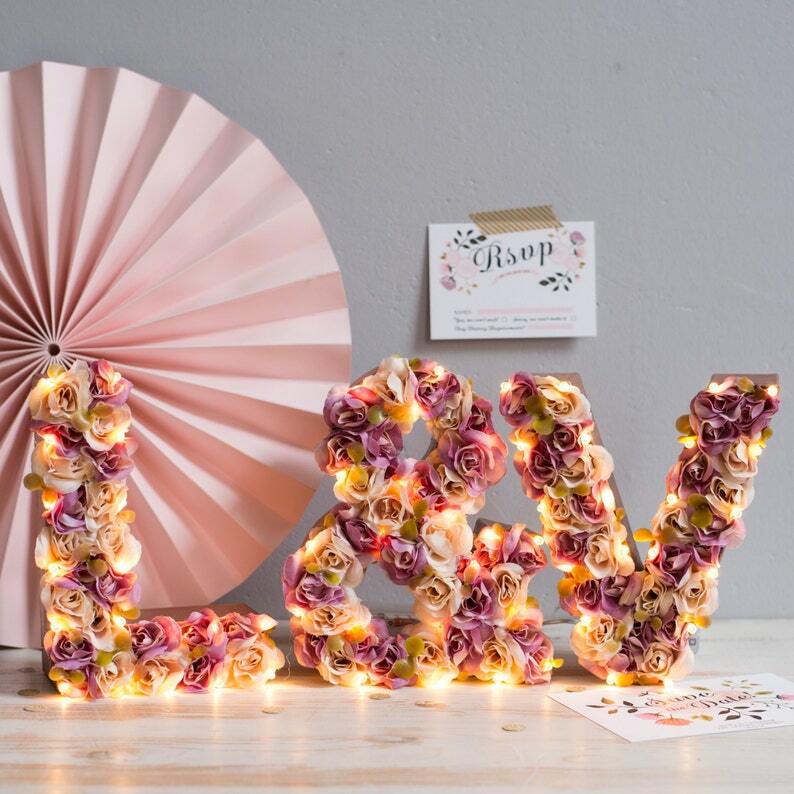 These stunning couples initials flower letter lights look beautiful by day and romantic at night when the lights of your venue are low. 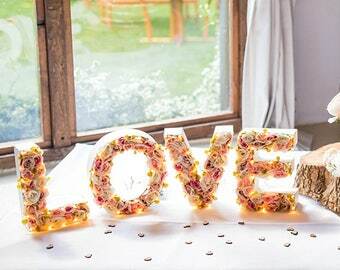 Being made from artificial flowers it means you’ve got the perfect keepsake after the event has passed to remind you of your special day. And, being lovingly handmade it means that not only are you supporting a small independent business (pat on the back for you), you also have something completely unique for your special occasion as no two orders are ever the same! • Letters are 17.5cm / approx. ~6.9 inches tall. Width varies. • Please note that the battery pack is not attached to the light, so these lights are not wall mountable. Need to rush this order? 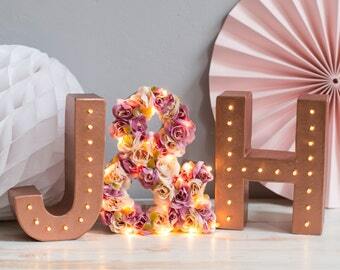 Lovely item highly recommend if you want to make your decor a little quirky from the norm..